Over the weekend I got the chance to check out a bit of gameplay from the upcoming VR Mech Sim Vox Machinae. I was so happy to have been chosen for the closed play test of this game and since Space Bullet Dynamics Corporation the developers of the game are awesome and didn’t tie the hands of early players with an NDA I can share me experience with you. I have to say that it seems like it has been forever that I have been waiting for more of Vox Machinae. Ever since playing the old demo from Oculus Share back in the DK2 days I have been keeping my eye out for news on this game, but it seemed as if it had gone dark for a long time until last week when I received the email. Vox Machinae was one of the demos from back in the day that really floored me. As an old school Mech jockey from the glory days of games like Mech Warrior and Steel Battalion I was so pleased to see Vox Machinae show back up on the radar. The game is still pretty early but it already shows a level of polish that I don’t see in a lot of VR games out there currently. 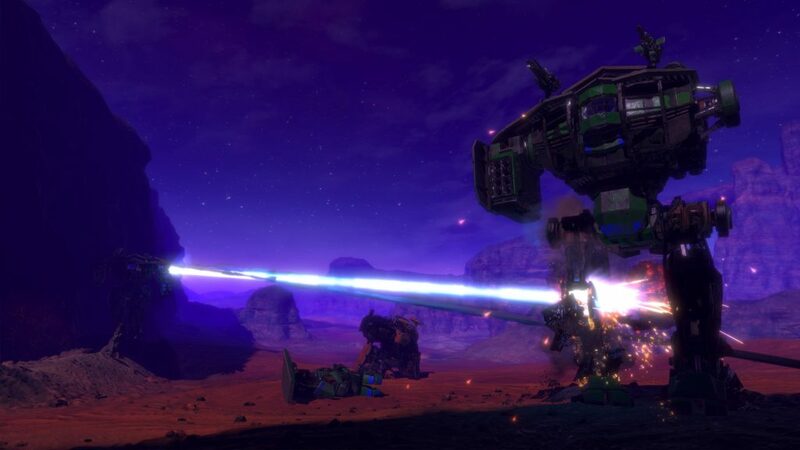 The combat is satisfying and the feeling of piloting the Mech is awesome! 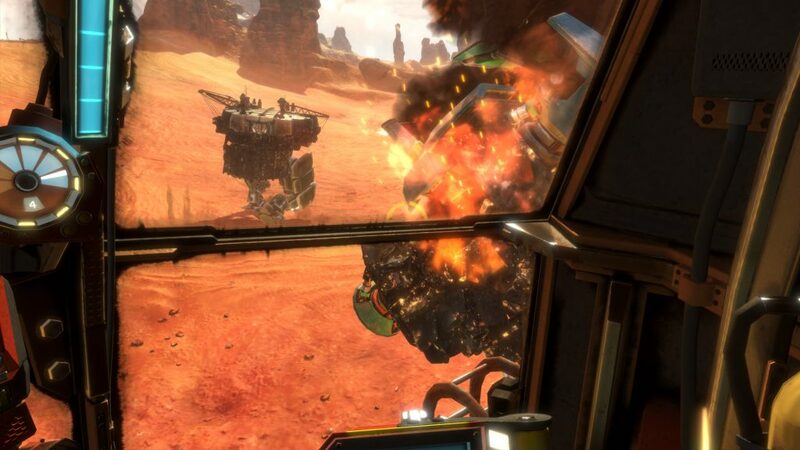 Vox Machinae uses motion controls for piloting the Mechs so it took a bit of getting used to after playing games like this with a HOTAS for so many years. After you get used to it though, I have to say that it feels great to be actually controlling my Mech using the in cockpit systems! The graphics and sound still need a bit of tweaking but overall I was very happy with what I saw. Keep in mind that this is still very early in the development of the game and I have no doubt that it will get polished up even more as the game approaches a public release. The only thing I still found myself longing for would have to be a single player story based campaign. If Space Bullet does add a single player campaign that would be the icing on the cake, but currently it is only online arena matches against players or bots. 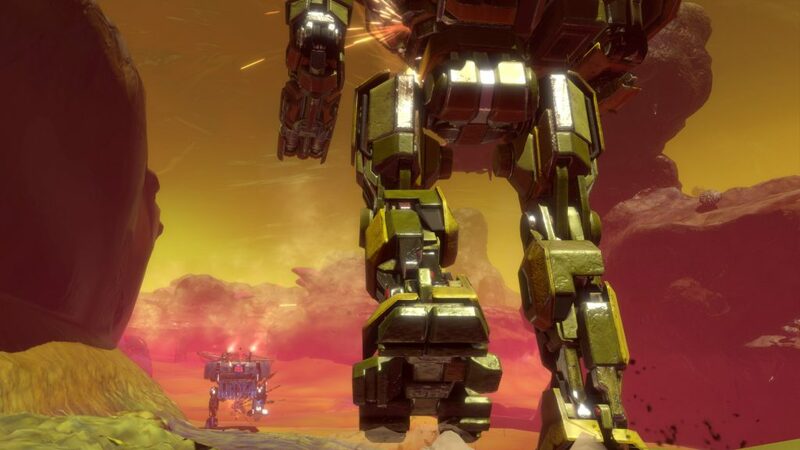 We did see a mech game last year that had a great story based campaign in Archangel but unfortunately the design decisions to have that game as an on rails experience ruined it for most fans of true Mech action games. 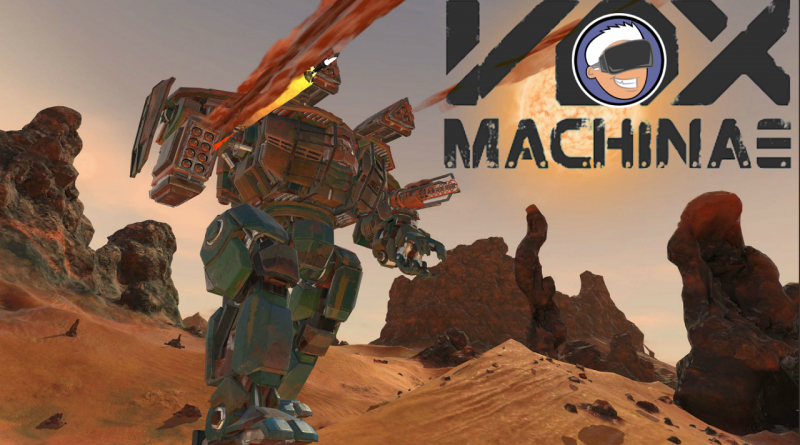 I sincerely hope that Space Bullet Dynamics Corporation picks up the ball and runs with it to deliver this to players which would position Vox Machinae as the best VR mech sim out there! Earth’s resources have been depleted. People try to migrate to where there is work, but many end up detained in border camps living off what scraps the governments are able to provide. Powerful corporations explore the heavens in search of raw materials. You are one of the lucky few to be a certified pilot, able to take on the distant mining jobs. The rough alien landscapes can only be navigated by enormous walking robots called GDRs or “Grinders”. Rivalry between the corporations is heating up, your job is about to get alot more dangerous. A unique mix of weighty and tactical simulation with responsive action. Pilot a hulking robot across hostile planets with your computer AI for company. Choose between five distinct Grinder chassis, each with their own benefits. Customize your loadout an array of devastating weaponry. Immersive physics simulation drives movement and combat. Play offline, on a local network, or online with up to 16 players. Optimized for smooth VR performance and visual quality. Full motion controller support for the ultimate immersive experience. Currently the game is in closed play testing but you can head to the link below to see if you can secure a spot and if you do I will see you on the battlefield!